Blessing of Might: Am I a good Paladin? 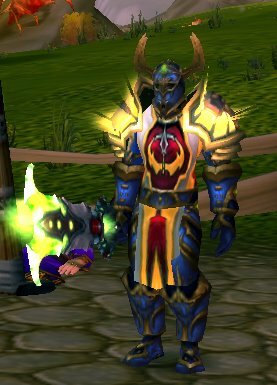 Am I a good Paladin? So you've decided to spec Ret, you've read the articles below and are on your way to getting the gear you need. I bet you're asking yourself, OK where should my stats be? How far do I need to go? What's going to make me a truly "viable" Ret Pally? Very good question. I obviously don't know where you are, but I do know where you need to be. I will list the vital stats below. I list these somewhat in order of importance but many people will debate over this. Just remember As you collect each piece of armor you should go with the armor that gives you the biggest general increases in armor and stats first, rather then look for a piece that shores up a specific weakness. Don't worry if your stat's don't match this... unless you're better then all season 1 arena gear it's not going to happen. Heck, some of my own stats are a little short. (I still need a few upgrades myself) But this is the minimum you should aim for. Gems and enchants will go a long way towards getting these stats up to where they need to be. Some people may be asking why I talk about Attack Power instead of strength, or Mana instead of Intellect.. Well it's simple, Strength is nothing by itself, it's purpose is to increase your AP, so at the end of the day it's AP you're looking at. Same with Stamina and Intellect. You don't care about stamina per-se; rather you want to see how much health it gives you. That priest isn't going to burn your intellect, he's going to burn your mana. So I'm listing out the end numbers. Tomorrow I'll go into detail on each of these 6 stats, why they are important and why the numbers should be what I've posted. I've hit 70...is the game over?